Ann Hirsch Sculpture Studio, LLC. 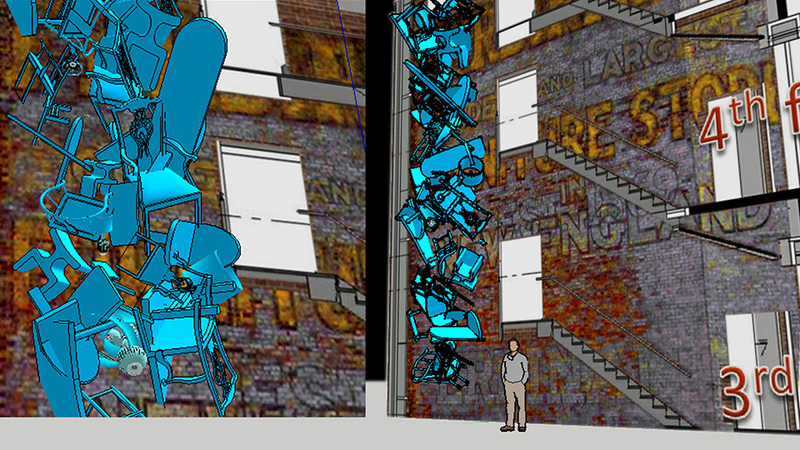 A wall anchored composition of tumbling chairs from all over the world, fabricated in a lightweight medium and painted cerulean blue to refer to the historic "Ferdinand's Blue Store." 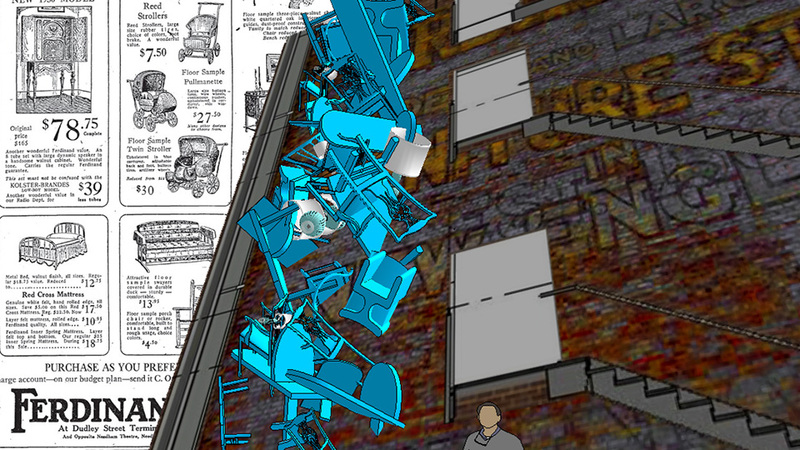 The chairs joyously cascade down the wall with the original Ferdinand's billboard advertisement as background. Lamps are integrated into the composition as specific points of light which cast shadows through the network of legs, backs and armrests. The furniture is a recollection of the historical store's function as well as an invitation to the building as a place where relationships are nurtured and where all people can sit down together to talk and feel at home; where their unique heritages are preserved yet synthesized into a larger cohesive framework. Lamps are integrated into the composition to cast shadows through the network of legs, backs and armrests.